ABOVE: Páramo grasslands surround Ecuador’s Antisana volcano. 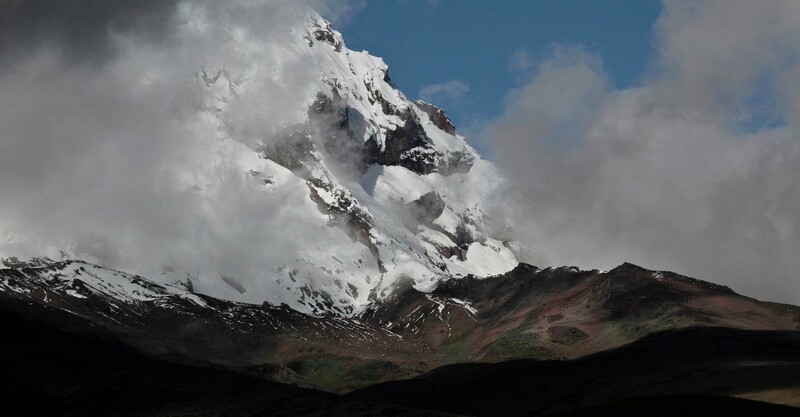 The altitude limit for páramo is the snowline—about 16,000 feet. 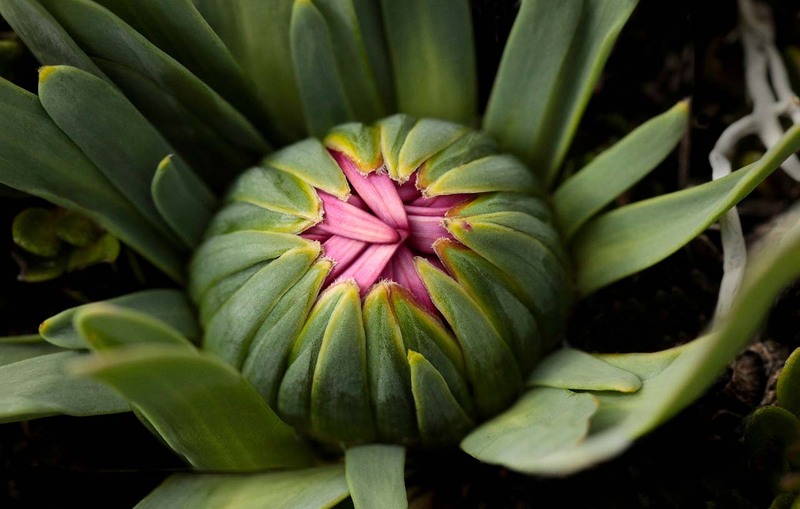 In the last few years, botanical researchers have come to the conclusion that the Andean páramo is very likely the fastest evolving biodiversity hotspot on Earth. This is because species here evolved within a highly varied landscape of glacier-formed valleys and plains with lakes, peat bogs, and wet grasslands interspersed with shrub-land and forest patches. Due to its high altitude, species have also been forced to adapt to low atmospheric pressure, intense ultraviolet radiation, and the drying effects of strong winds. Páramo is not only the fastest evolving place, it also boasts unusually high numbers of endemic species. 86% of flowering plant species are endemic to this astonishing ecosystem and found nowhere else. ABOVE: This is Polyepsis, the highest growing tree species on Earth. 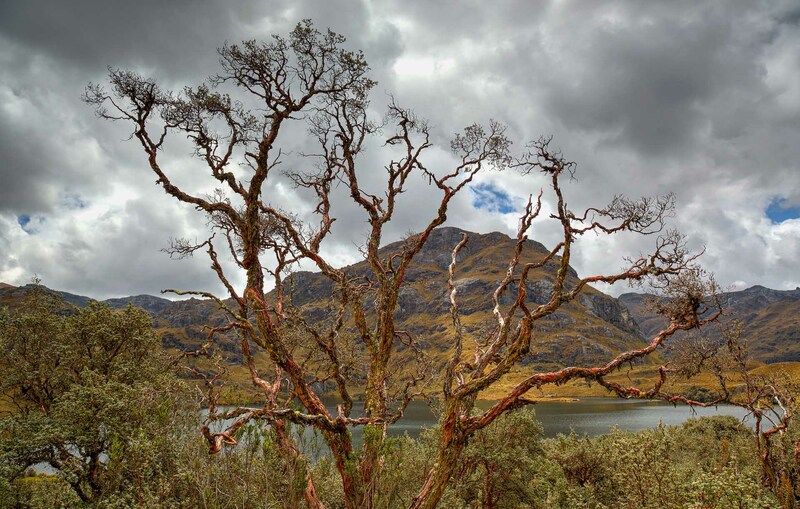 Even though this tree looks dry, the Paramo ecosystem is quite wet. Polyepsis has a paper-like bark that sloughs off any bromeliads that attempt to anchor on its branches. 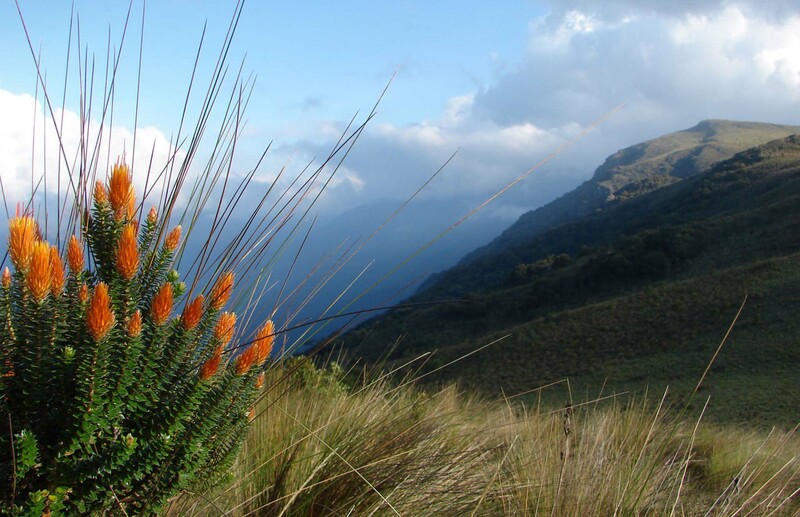 The páramo grasslands contain many rare or endangered species, some of them restricted to just one mountain or valley. Species abound including the endangered mountain tapir, the woodland Oldfield mouse, Apolinar’s wren, the black-breasted puffleg, and the Bogotá rail. The páramo also provides shelter and habitat to several reptiles and amphibians, including the Colombian lightbulb lizard, poison dart frogs, rocket frogs and the black water frog. 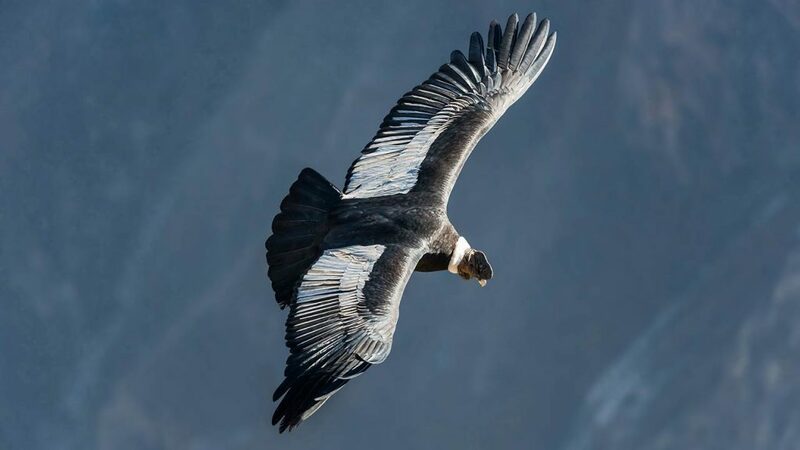 ABOVE: The most famous resident of the paramo – the Andean Condor, the world’s largest bird. In 2002 the Andean Community of Nations—a trade bloc comprising the South American countries of Bolivia, Colombia, Ecuador and Peru—recognized the Andean páramo as a cross-border ecosystem with a high priority for conservation. Municipal governments have shown a greatly increased interest in protecting these ecosystems. Páramo plays an important role in the water supply for cities at lower elevation, but it remains threatened in many areas due to deforestation and overgrazing. Recently, municipal governments have shown a greatly increased interest in protecting these ecosystems in order to secure clean water for their people at lower elevations. Nature & Culture’s FORAGUA program is leading the way by building win-win-win partnerships in which water utilities, consumers, and the ecosystem all benefit when páramo is placed into protected status. ABOVE: Páramo acts as a sponge, soaking up water and delivering it to forests and communities below year round.